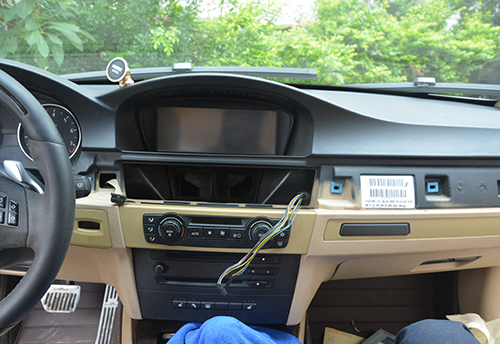 How to Install Android BMW E60 Navigation Head Unit? As the 5th generation of BMW 5 series, BMW E60/E61 is available from 2003 to 2010. Compared to BMW E39, the dashboard for BMW E60 always comes with a 6.5 inch or 8. 8 inch factory screen. 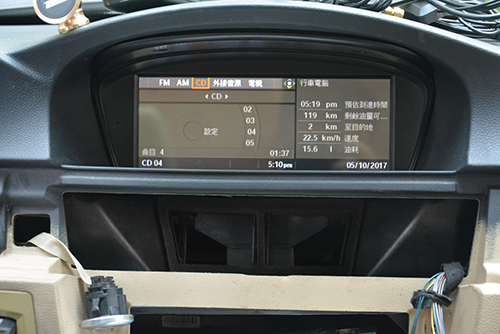 If you have a BMW E60 or E61 without navigation system, you are able to upgrade the original screen unit with a modern looking GUI Android BMW E60 head unit now. 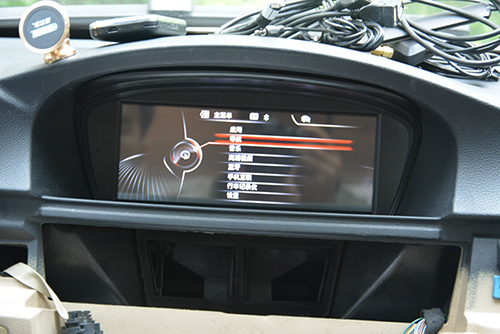 How does the Android BMW E60 navigation head unit look like? 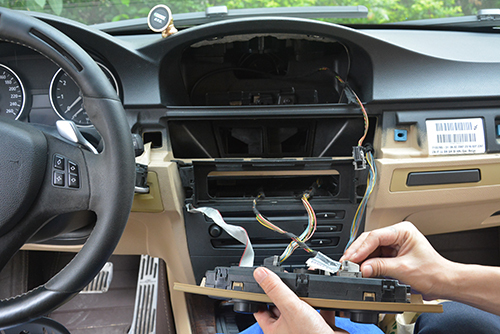 How to install BMW E60 Android navigation head unit? Use a plastic level tool to pry at the end/middle/front of the decorative trim to detach the side metal chip and gently pull the trim across. The trim is held using metal clips along the length of the trim. 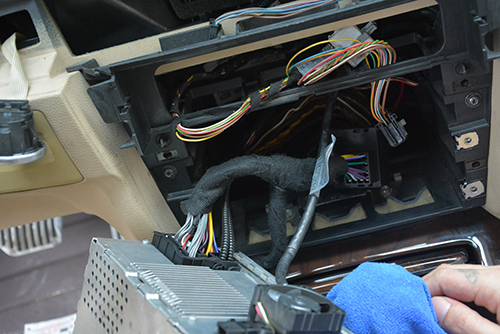 Take out the trim including the air vents, remove the buttons for hazard light and door lock by pressing on the metal clips, detach the cable connector behind. Remove 2 screws at the top of original screen, take out the original screen unit. Use the plastic tool to pry the edge of the CD panel, take out the CD panel. 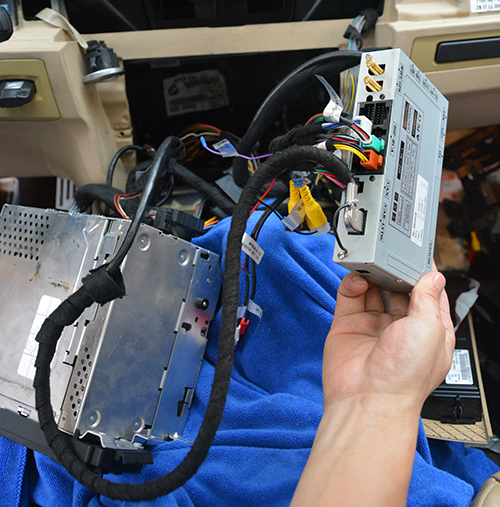 Remove 4 screws at 1, 2, 3 and 4 to take out original CD player/radio. Take out the original CD and radio unit. Detach the power plug behind the CD/radio. 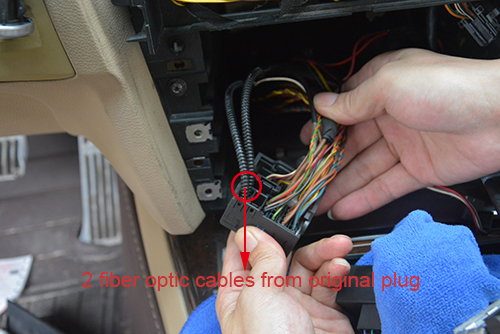 Move the 2 fiber optic cables to the new plug at the same position, make sure they are well connected! After all cables connected well(very important! 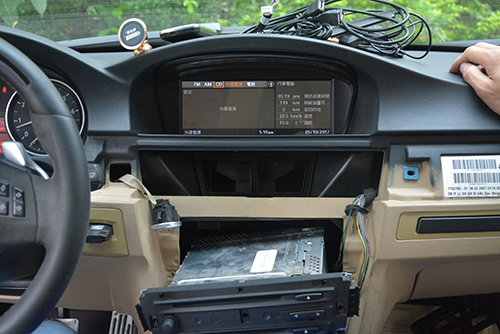 ), then you can turn on the car and the unit, test it, if everything goes well, power off the car, reinstall the CD/radio and climate control panel, tug the cables at the back of the screen neatly and install the new screen, you can put the main unit at right side behind the CD/radio(remove the entire plastic frame to put it there), or you can put the unit at rear of the screen inside, or you can put the main unit to any other area where can be put into. Don’t worry about the future maps update, you can copy new maps from USB to the sd card. Note: the small speaker is not necessary anymore, so we don’t add it in the package, as the navigation sound can come out from front left car door speaker.If there’s no sound after installed the small amplifier, the small amplifier should not be activated, you can follow these steps: firstly turn off the car and take out car key, unplug the red power plug from the main unit, then disconnect the 2 plugs for the small amplifier, then connect the 2 plugs for the small amp again, finally connect the red power plug(the red plug should be the last to plug). 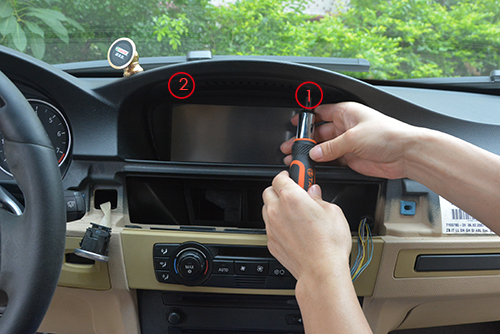 This step is only required for installing an aftermarket rear camera. Firstly the camera should be powered with your car reverse light. 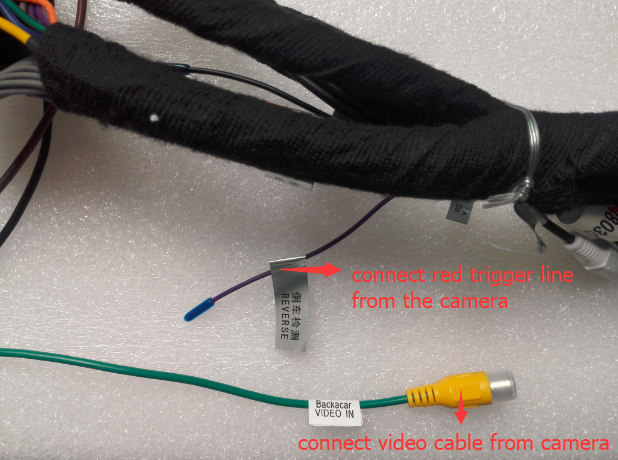 Secondly, there are one green cable with RCA connector to connect the video input from the camera, and there’s a loose REVERSE 倒车控制 wire which should also connect the red trigger line from the camera. 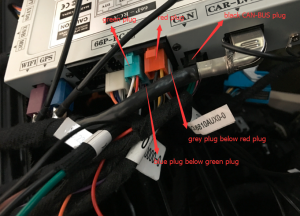 Only the above 2 cables need to be connected from the unit for the camera.About wires diagram of the camera to be installed with this BMW e60 head unit, please check below photo. 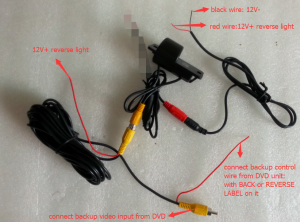 Note: If you have connected the backup camera correctly, but still no signal or the display is not stable, that’s because the voltage from your car reverse light is not stable, you can connect a relay to solve this, it has been proved by many of our customers, if you need more info about the relay, you can contact us we can send you some pictures and feedback from our customers who’ve used a relay for the camera. If you have installed a few units yourself over the years, following step by step installation instructions here you won’t have a problem. 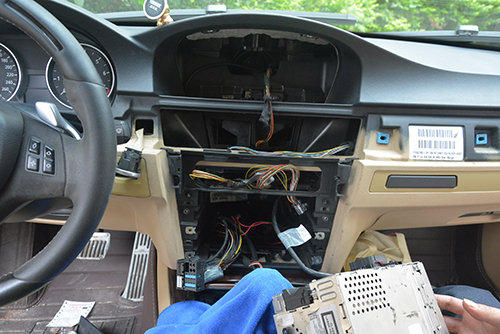 Please send this installation guide to your installer before he installs the Android BMW E60 navigation head unit for you. If your installer still have questions, you can take some pictures for us to check, we will do our best to help. You can also download the entire installation guide here, however, installation instructions from this post are more detailed as we will update this post from time to time to add more information which our customers will frequently ask, so you’d better printing the how to install guides on this page directly. 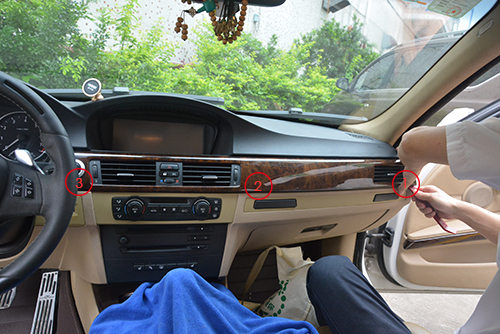 Regularly, for e60 with aux function, there’s a 3.5mm aux jack located at the back of armrest, secondly, from your screen menu you should see aux option as well. If you still don’t know, you can ask a local BMW dealer to confirm it. Just check radio srceen,Where it says fm-am-cd-sat and aux.. So your car has working aux? That’s great your car has working aux, because the sound transfers to car speakers through factory aux mode. 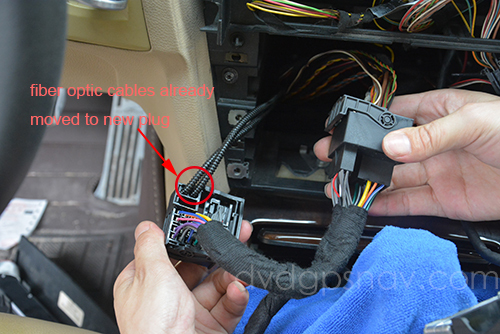 If the car does not have aux or aux doesn’t work, you will need to add a small amplifier to get sound. If you have any other questions, just feel free to contact us by sending an email to sales#dvdgpsnav.com(replace # with @), thanks. Can you Bluetooth music to the head unit? 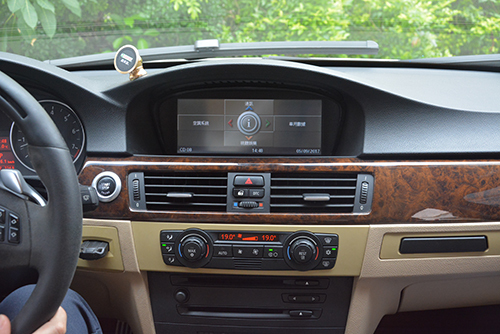 Yes, this e60 head unit supports Bluetooth streaming music for both Android phone and iPhone. 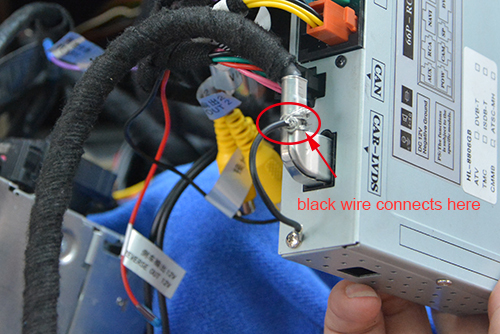 Just connect the little black wire to the lvds plug as our picture showing. Where did you guys mount/install that main unit? You can put the main unit in the glove box. Yes, all are available, our unit will not affect the factory function, it just replaces the factory screen. 8 inches or the small as i have now? Our new screen is 8.8 inch, your factory menu can also display on our new 8.8 inch screen. Hi. Do i need to have my CCC operating correctly? cause mines screwd up..doesnt turn on..always saying bmw and restarting..will it work anyway? buying an adroid radio will it work? I’m afraid not, our unit does not change factory functions, so if your CCC system does not work normally, it remains after installation. Hi there. I have a version of CCC on a E63 without original AUX. Is there something I can do in order to make your production work on my car? 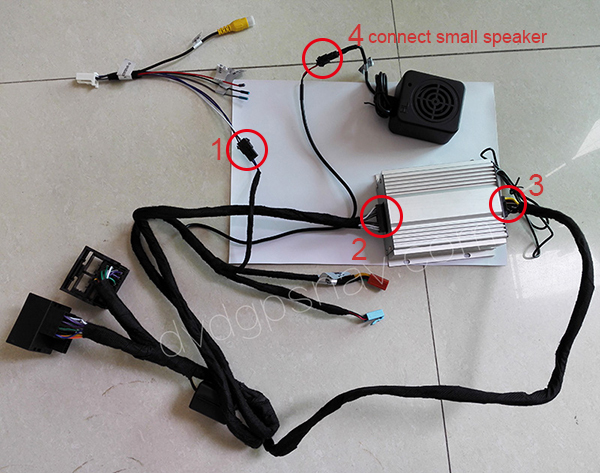 Hi, if your car does not come with fiber optic amplifier, which means there are 8 speaker wires from your plug behind the radio and CD, then you can install our Android e60 head unit and add a small amplifier to get sound to 4 car door speakers. 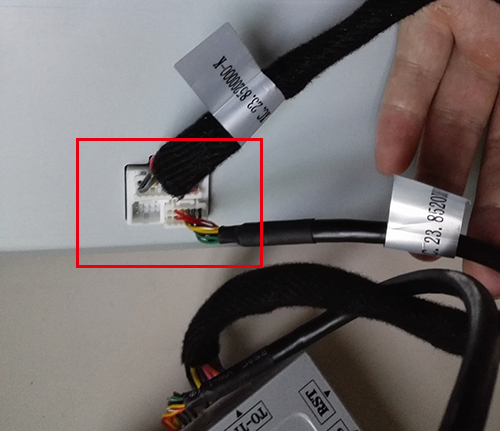 You can check the LVDS plug and see if it’s well connected with the main unit. If still no signal, you should contact your supplier. and now i want to upgrade to bigger more powerfull amplifier and speakers. How do i connect the new aftermarket amp to replace the small one provided ? Where do the rc line out cables go to from the new amp ? 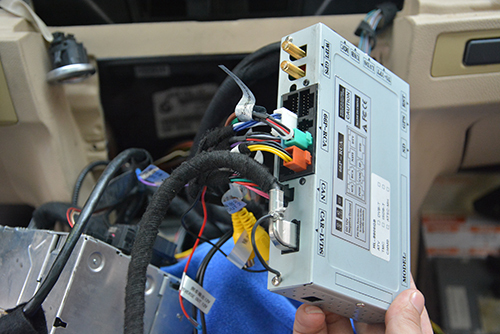 Please note our unit just replaces the factory screen, and regularly transfers the sound via factory aux mode, it does not have audio output with RCA connectors, so it can not connect another amplifier. Hy there. 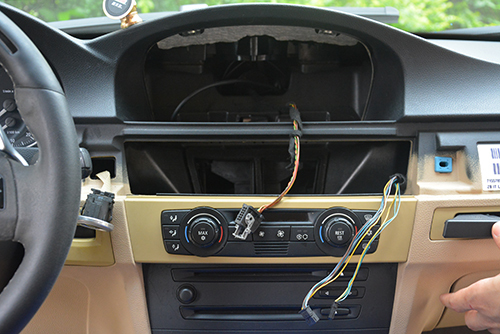 I have installed in my 530 e61 an android unit. Everything works fine, except reverse camera. I have installed it 100% correctly, as a prove it works fine when the contact is on, but without starting the engine. Once the engine is on, the display shows “no signal”. If i turn of the engine, but the contact remains on, and gear in reverse, i have the image from the camera. 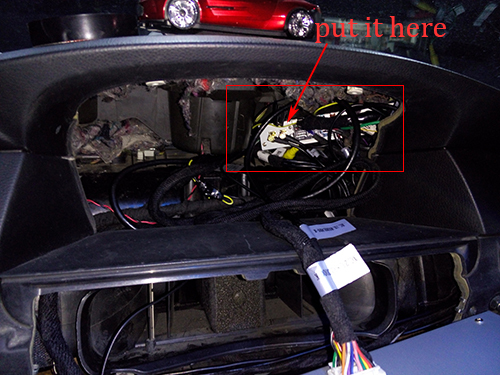 As i read in this post, i probably don’t have enough power in reverse light and i must install an relay. Can anyone here help with an tutorial? Or how can i make it work normally? Is aftermarket amp and sub istallation an option in this unit? Or do i go frome the speekerwhire into an transformer an then into a amp? Also, are there a posibuiliti to play video with the old type connection? (3plugs red, white and yellow)? To connect like a playstation? 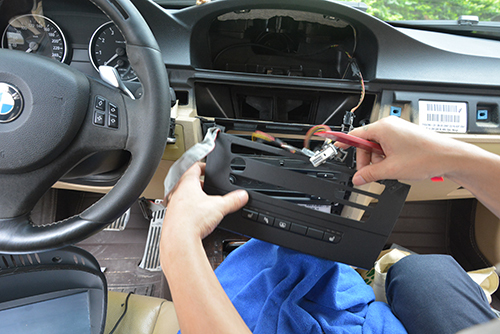 Hi, this Android screen unit just replaces the factory screen, keep using the factory radio and CD system, so if you want to install aftermarket amp or sub you should check if your CD system can support or not. 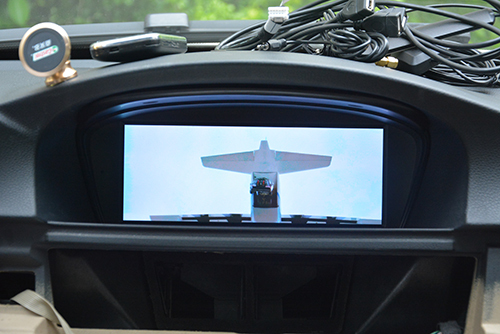 It does not have old type connection to play videos, this Android head unit already has video app to play videos through USB or the internal memory of the unit. 1- when i wanna show the original car info the screen say no signal. 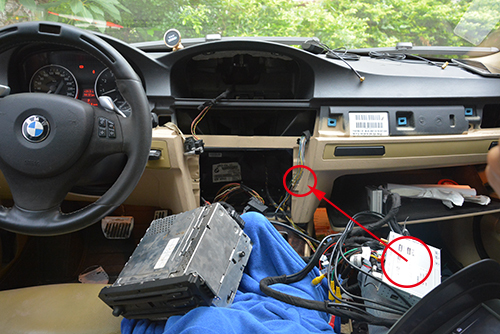 2- i can not get sound from the screen but i can got sound from the radio and cd unit. who can i solve these 2 problems . 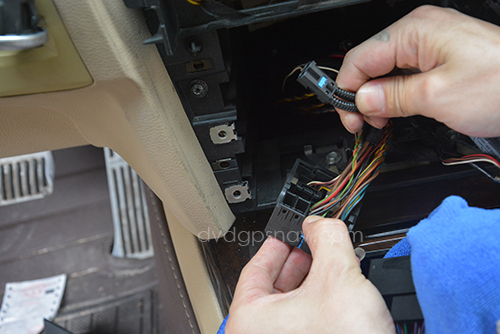 1. check if you connected the LVDS plug with the new head unit. 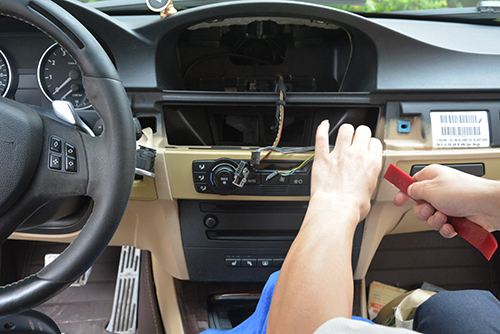 2. check if your car has working aux function, if yes, also check if your aux wires match the new plug, if not with aux, you need to add a small amplifier to transfer the sound. If you still have questions, please contact your seller for after-sales service.